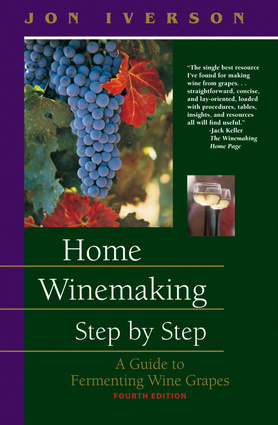 Written expressly for beginning and advanced amateurs, this guide explores home winemaking in practical terms, focusing on the latest fermentation techniques of both red and white wine grapes. This new edition is more user-friendly than ever, containing an expanded offering of tips and advice to help winemakers obtain the best possible yield as well as descriptions of new yeasts, chemicals, and additives available. Detailed information on equipment, supplies, and how to arrange a source for good grapes as well as mistakes to avoid makes getting started easy. Advanced winemakers will appreciate full explanations of sophisticated topics—such as malolactic fermentation, sparkling wines, concentrate kits, and blending—and listings of websites for supplementary information. Jon Iverson is a wine fermentation expert with 30 years of experience and the author of The Babyboomer's Guide to Estate and Medicaid Planning. He lives in Medford, Oregon.